It is mandatory for all commercial fishing vessels legally licensed and permitted to fish in certain U.S. Fisheries Management regions to carry NMFS/OLE type approved VMS terminals that securely report their GPS positions via a secure satellite link. In the U.S. there are around 4,000 fishing vessels required to comply with the VMS regulations. Similar global VMS regulatory programs are estimated to affect over 50,000 commercial fishing vessels. Until now, almost all of the type approved VMS terminals used in U.S. and the rest of the world are based on older low-speed, narrow band communication technologies introduced more than two decades ago. The Addvalue iFleetONE™ VMS, with its broadband capability, represents the most significant advancement in fisheries management VMS technology today. 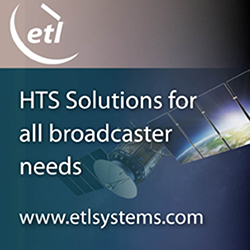 It is capable of taking full advantage of the modern IP connectivity technologies built upon the backbone of the fourth generation of Inmarsat's satellite network, an advanced and reliable L-band mobile satellite technology service to date. The introduction of the Addvalue iFleetONE™ VMS will enable Fisheries Management officials, biologists, researchers, analysts and NMFS Law Enforcement, for the first time, to have a suitable platform for applications and tools that have previously been severely limited by the available technologies of the past, such as on-board imaging and other monitoring systems such as winch and other gear sensor data that can be economically transmitted in real-time back to shore. 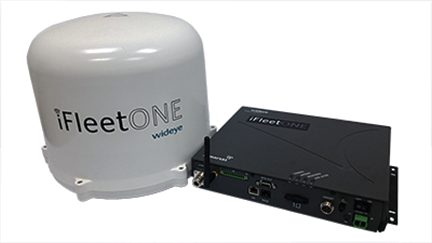 In addition, the Addvalue iFleetONE™ VMS is a 2-in-1 solution that allows commercial fishermen to use it as a general-purpose broadband communications terminal. Communications can also be further enhanced by subscribing to the “SIMPLYTALK” solution with its embedded usage management system in the terminal to provide a unique digital push-to-talk application that will work with most of the smartphones for the day-to-day on-board operations and can also serve as an affordable alternative channel for crews-to-shore communications with families and friends. Dr. Colin Chan, Chairman and CEO of Addvalue, said that unlike the commercially available VMS terminals currently used in the U.S. and in other global VMS programs, the Addvalue iFleetONE™VMS is the first-of its-kind broadband terminal available for the highly regulated Fisheries VMS markets in the U.S. today. Riding on this success, the company will customize this solution to meet the needs of other fisheries management applications globally, especially in the Asian region. Barring any unforeseen circumstances, AddValue expects the hardware sales and the VMS subscription revenue to grow significantly from this year and beyond. Mr. Ronald Spithout, President of Inmarsat Maritime, added that this is a ground-breaking moment in regulated fisheries VMS development, as this is the first IP high-speed terminal to receive approval. Inmarsat congratulates Addvalue on their work with NMFS and looks forward to promoting this jointly in the market.